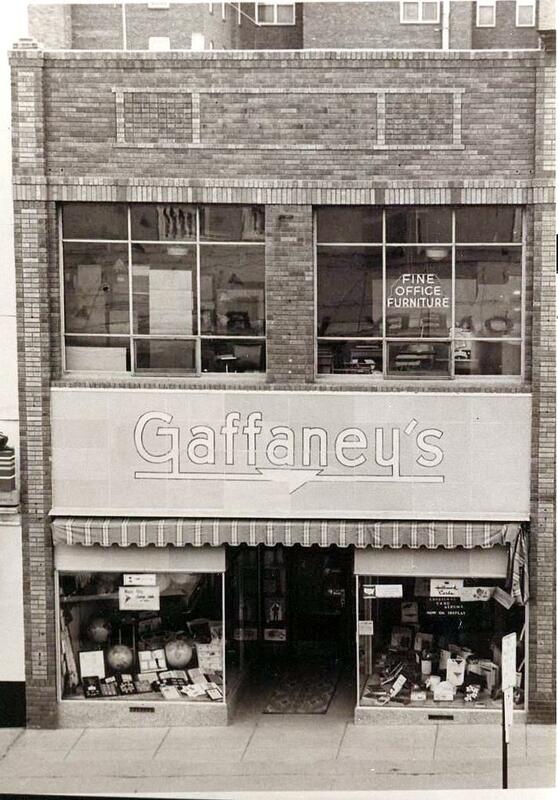 Minot-Memories: Gaffaney's On Main St.
Gaffaney’s was located on the west side South Main in to 100 block. It was between Shark’s Men’s Store and Strauss Jewelers. 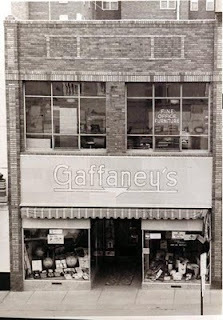 Gaffaney’s was started in 1917 by JE Gaffaney. Current owner Rich Pardon started working there, ( I believe in High School, and one of his jobs was dusting shelves. He and Ben Wald bought the store in 1975 and moved it from main Street to it’s current location on 20th Ave Southeast. … Rumor has it that Rich may still be dusting shelves, at times.